In 1966, 3M invented window film and received the very first window film patent. Since then, many film technologies have been patented by 3M and the company remains the only window film manufacturer to produce its own polyesters and adhesives. In fact, due to 3M's ability to develop multiple layer micro thin polyester films, their films are able to outperform all others of similar thickness. Innovations including films with insulation properties and films for plastic glazing have continued to rank 3M as the technology leader in the commercial, government, institutional, and residential markets. 3M is also a world leader in adhesive technologies with their unique properties specific to window film being a combination of fast drying, superior optical clarity, long-lasting bonding, and simple removal. 3M was founded in 1902 as Minnesota Mining and Manufacturing Company. Since its early beginnings 3M has produced thousands of imaginative products, and has become a global leader in markets from health care and highway safety to office products, abrasives and adhesives. Today 3M holds over 3,000 patents in products (including for their invention of window film in 1966) in 35 varied business units that are organized in 5 business groups. 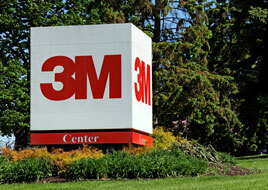 3M employs 84,000 globally and has operations in more than 65 countries with global sales of $30 billion. Their products are currently sold in nearly 200 countries worldwide. In addition to a long-standing commitment to innovation and uncompromised quality, 3M products are backed by the most comprehensive warranties you can get and are backed by a company you know and trust.